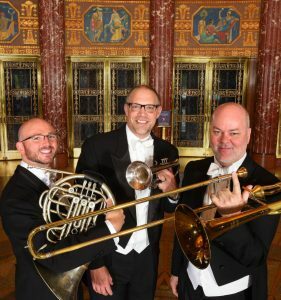 Brass of Peace on Tour! PLUS – Brass of Peace will also hear the great Philadelphia Orchestra perform Sibelius 2 at the Kimmel Center on Saturday night. Thanks to our wonderful alumna, Jennifer Montone, we got great seats at a great price! We are excited to hear her and one of our great American orchestras in their hall and conducted by their music director. Factory Seconds Trio, members of the Cleveland Orchestra and Ensemble in Residence at Baldwin Wallace Conservatory, come to Peace Lutheran Church on Sunday, September 9, 2018, at 7 p.m. 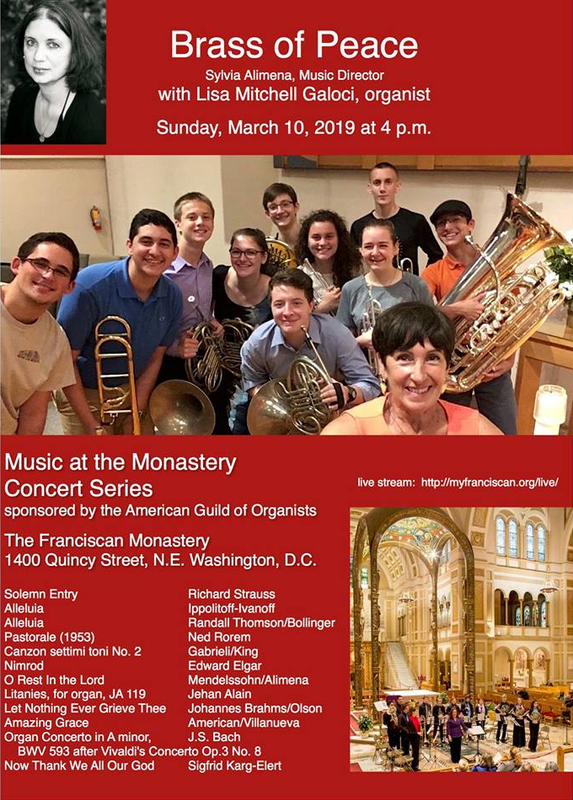 The concert is free to the public and a free will donation will be taken. 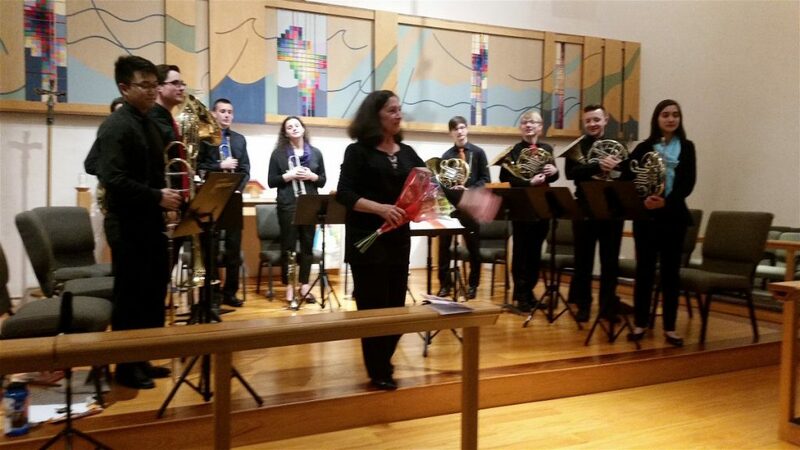 Brass of Peace had another great season full of debut concerts! 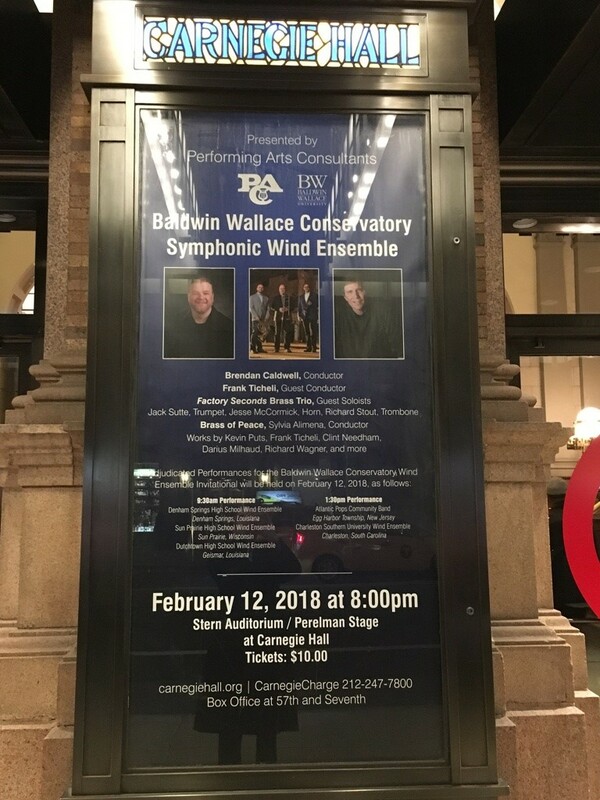 Our Carnegie Hall debut on February 12th and the entire musical weekend was one for the history books! 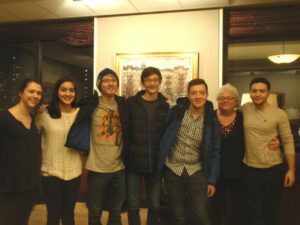 Thanks to support from the BOP alumni and alumni parents, all of the expense were absorbed by our fundraising through Fractured Atlas. Thank you all for your help! We are so grateful to Baldwin Wallace Conservatory for inviting us to join them on that hallowed stage. On Saturday, February 10th, , BOP took the Tripper bus up to New York and stayed at the Salisbury Hotel, a wonderful little hotel only one block away from Carnegie Hall. 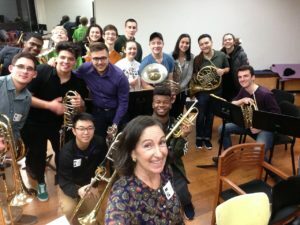 On our first afternoon, we all trekked up to Juilliard where we met up with some excellent brass players from the Juilliard School and read through some great brass ensemble music for 2 hours! Thank you, BOP alumnus Nathaniel Silberschlag for arranging that gathering. 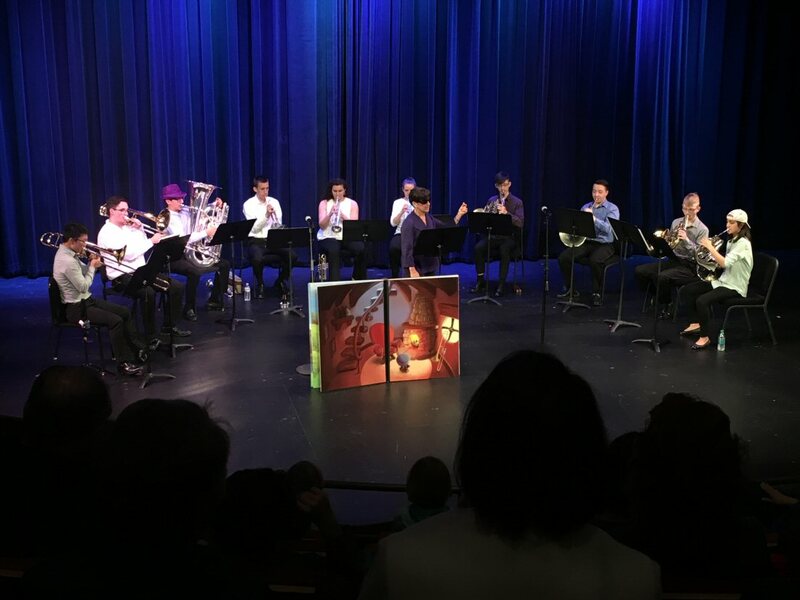 It meant so much to all of us and especially our 2 graduates; Gaby Pho, horn and Andrew Stump, horn, who will be attending Julliard in the fall! That evening, we split up to attend concerts by the Chicago Symphony and the New York Philharmonic. 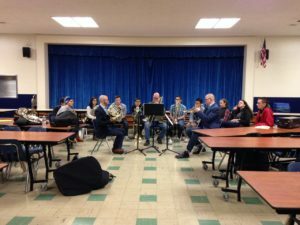 The next day, Sunday, February 11th, we were part of a mentoring session in Westfield, New Jersey for high school bands and sponsored by Baldwin Wallace Conservatory. 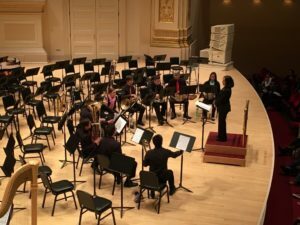 These bands would be playing the next day at Carnegie Hall and would also be adjudicated as part of the Baldwin Wallace Conservatory Invitational. I was one of the judges in the morning and had the pleasure of meeting composer, Frank Ticheli, who was also adjudicating. While in Westfield, Brass of Peace had the honor of having their own master class with members of the Cleveland Orchestra who form the Factory Seconds Trio; Jack Sutte, trumpet, Jessie McCormick, horn; and Richard Stout, trombone. They were a wonderful example of beauty of tone and great ensemble amongst players! We also had our one full rehearsal with the Baldwin Wallace Conservatory for the Carnegie Hall Concert the next night. 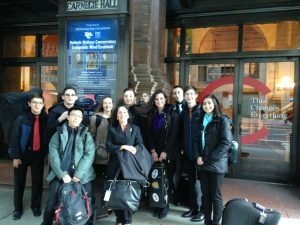 Our concert on February 12th at Carnegie Hall with the Baldwin Wallace Conservatory was amazing in everyday. 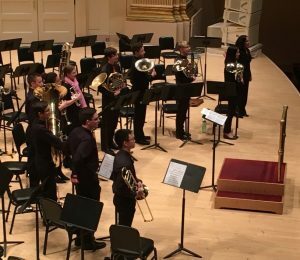 Brendan Caldwell chose a fabulous and diverse program for the Wind Ensemble. BOP was included in Kevin Putz Millennium Canons and Wagner’s Elsa’s Procession. 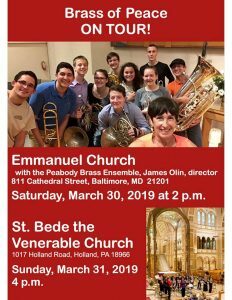 Let me tell you, we worked really hard at home to be prepared enough to insert ourselves into the mix on one rehearsal, but our BOP players were great! 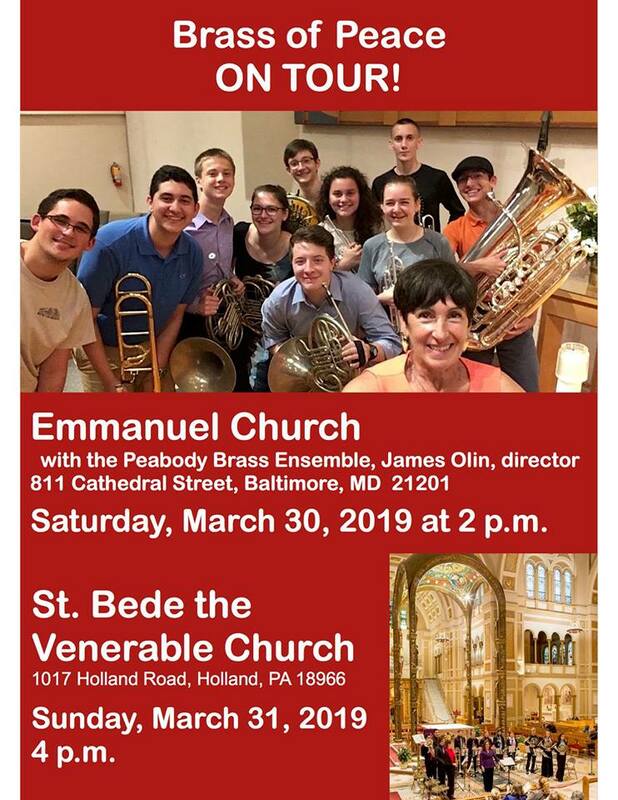 Our three solo pieces on that program, the Bach Fantasie in C, The Girl with the Flaxen Hair, and Rassemblement from Dubois Fanfares were out of this world! I couldn’t have been more proud! Our 41st Season Finale on May 10 was beautiful in every way. It is so rewarding for me each season to enjoy how BOP members grow so much artistically and develop their musical skills. And they are all such great kids! I’m so lucky to work with amazing young people year after year! Of course, it is also a bittersweet time as I say goodbye to our graduating seniors, some of whom have been with me for years! It’s hard for me to believe that I have been conducting Brass of Peace for 29 years! Time flies when you are having fun! 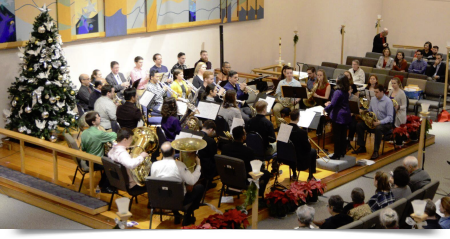 Our Outdoor Brass of Peace and Alumni Concert will be held on the usual second Sunday of June at 7 p.m. at Peace Lutheran. Rehearsals are Friday and Saturday June 8 and 9. 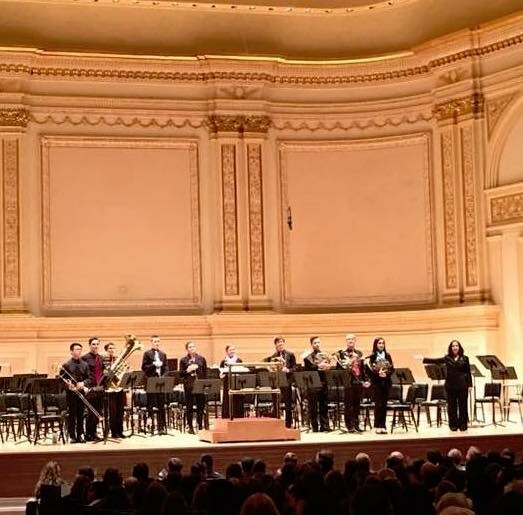 Brass of Peace performed at New York’s famed Carnegie Hall on Monday, February 12, 2018 at 8 p.m. thanks to an invitation from Baldwin Wallace Conservatory Wind Ensemble. 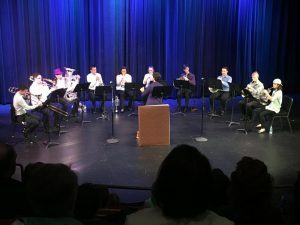 The program featured a world premiere Concerto for Brass Trio by Clint Needham and featuring Baldwin Wallace’s brass trio in residence, The Factory Seconds. 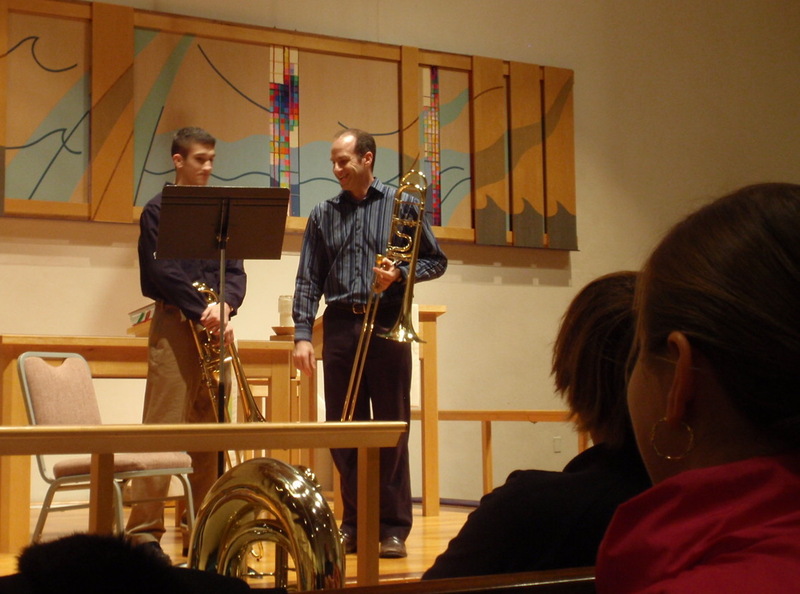 Brass of Peace performed several works on its own; Bach: Fantasie, Debussy: Girl With the Flaxen Hair and a fanfare by Pierre Max DuBois. 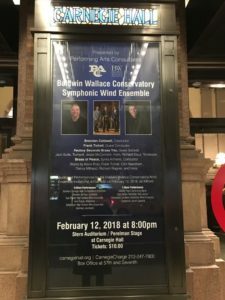 Joint works with the Baldwin Wallace Conservatory Wind Ensemble included the colorful Millennium Canons (2001) by Kevin Puts and Wagner’s poignant, Elsa’s Procession from Lohengrin. Many other amazing things happened in NYC! Saturday., May 19, 11 a.m & 1 p.m. Sun., Mar. 11 at 4 p.m.
11 a.m & 1 p.m.